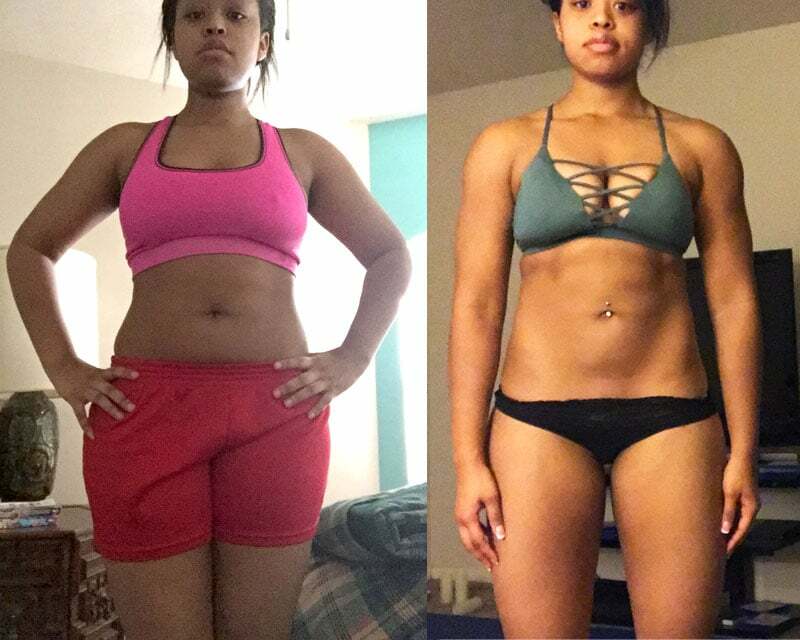 FITBODY Tayllor Green has transformed into the women she always wanted to be through focusing on her fitness efforts in Julie Lohre’s Online Personal Training Program for Women with the results naturally following. I am a fitness instructing, dancing, kickboxing queen! My greatest accomplishment is feeling like I actually know what I’m doing when I’m working out. I was never good at sports in school, and I always felt so awkward and uncoordinated whenever I did exercise in the past. Another huge thing for me is being able to run a mile without stopping! In 2 years, I have evolved into a woman that I never knew existed within me. The physical changes are just a side effect of being healthy from the inside out. Taking things one day at a time, and focusing on the effort more than the results really kept me on the right track. I love fitness because it has spilled into every aspect of my life. My life is so much better in every way since I started to put myself first. Life is so much easier when I’m taking care of myself! There may be things I can’t control in my life, but if I can control my body and mind, I can handle just about anything. Oh my goodness. For starters she is a phenomenal woman who embodies the lifestyle of health and wellness. Because of her, I know it’s possible to have a great life and still enjoy how I look. She has a vision for all of her clients. She knows your potential before you do! The food and workout plans are all personalized and reasonable. I make amazing progress every single month with her plans. She’s like the fitness guardian angel. I don’t know who, or where i would be without her! Salmon, brown rice, and butter!